March 3, 2019, Honolulu, Hawaii. Carroll is replaying his 11/1/15 show regarding the Red Hill fuel facility and its leaks. On October 30, 2015, Carroll attended the Red Hill Task Force meeting. Once again, it's about more studies, all talk, and no action. Carroll tried to ask questions, but answers were twisted to suit the Navy's desire to underplay the situation. For example, contaminants are called "constituents", and they say the constituents are in the aquifer, not the drinking well. Carroll is also concerned about the deteriating condition of the pipes transporting fuel from Red Hill to varioius installations. 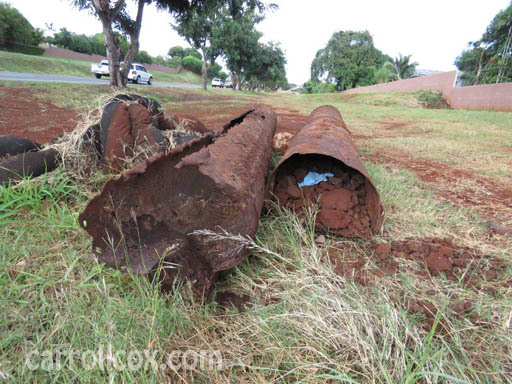 Recently, during a cleanup of closed facilities, the Navy dug up pipes near Kipapa Gulch. 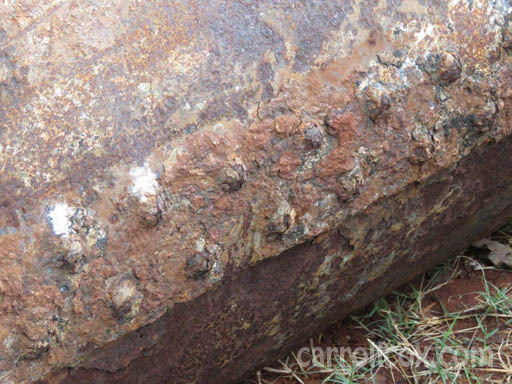 Here are pictures of the pipes, showing rust and rivets. 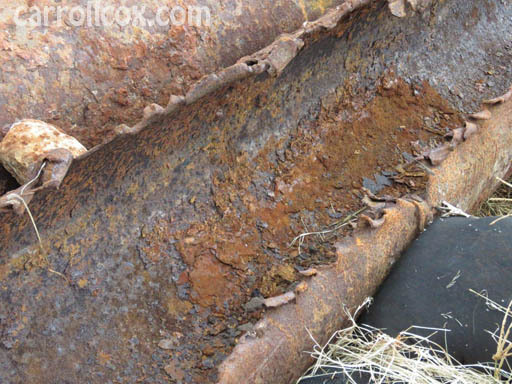 What do the pipes under Red Hill, and other locations, look like? Carroll continues his discussion about local issues on O'lelo Public Television, Channel 54. Link here to a list of his upcoming shows.